A senior member of Japan's ruling Liberal Democratic Party said that raising infants and toddlers is a job for mothers and that fathers taking the primary role is an "unwelcome idea." "We speak of cool ideas such as a gender-equal society and men's childrearing, but they are unwelcome ideas for children," Koichi Hagiuda, 54, executive acting secretary general of the LDP, said Sunday in a speech in Miyazaki city, referring to care for children up to the age of 2. "Children need an environment in which they can stay with their mothers," he added. His remarks came as the government under Prime Minister Shinzo Abe seeks to achieve a better gender balance in politics and other fields and bring more women into the workforce to help achieve economic growth in the face of a fast-graying population and labor shortage. They also came on the heels of a controversy aroused by another LDP lawmaker, Kanji Kato, 72, who recently said newlyweds should raise at least three children. Kato's remarks drew criticism, with one female lawmaker from his own party calling them "sexual harassment." Hagiuda said that while firm data to back his assertion is hard to obtain, infants "must want moms, no matter how you look at it. I think it is a bit strange if they choose dads." He also said childrearing should not be considered as non-work, adding the country needs to "create a system to care for mothers who are engaged in the hard work called childrearing." Japan's political arena has been overwhelmingly male-dominant. Only 10.1 percent of lawmakers in the lower house are women, ranking Japan at 158th among countries, according to the Inter-Parliamentary Union. 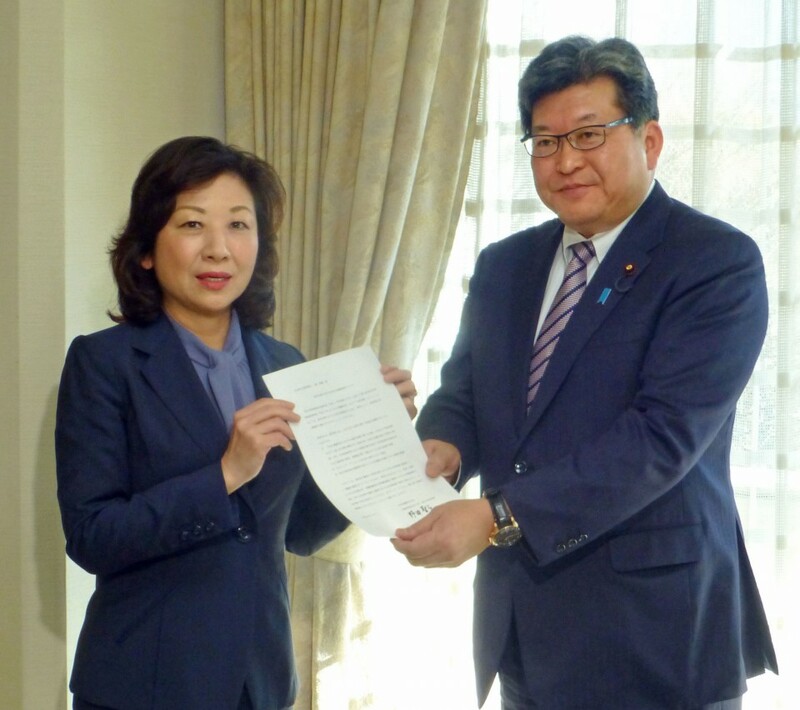 The Japanese Diet enacted a law earlier this month to promote women's participation in politics.